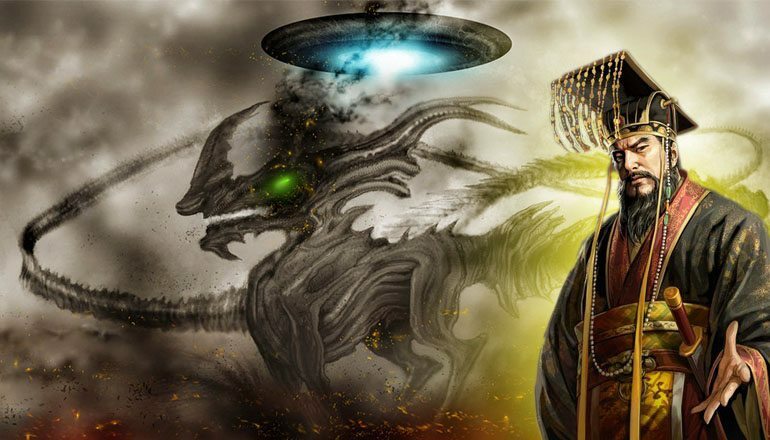 Was Ancient China’s Yellow Emperor an Extraterrestrial Being from Alpha Leonis? Ancient China’s Yellow Emperor is a legendary hero credited with many feats, such as introducing writing and medicine. But despite his contribution to founding the Chinese civilization, there are ancient texts that suggest he wasn’t even human at all, but an extraterrestrial being from a star system far away. Throughout mankind’s history, the ruling class has done its best to create and maintain the illusion that kingship is a divine construct, established by the gods themselves. Dynasties of monarchs and majesties claimed the first of their name had been direct descendants of the “gods” and thus justified their own reign as demigods. The king-coming-down-from-heaven-to-assist-mankind-through-his-governance phenomenon is a a staple presence within many cultures, leading some of us to believe that it was a common occurrence for extraterrestrial beings to lend a hand and establish divine bloodlines. The Yellow Emperor (Huang-Di) lived in the third millennium BC and his rule is traditionally said to have lsted for over 100 years. Many inventions are attributed to his genius, including the introduction of wooden houses, the bow and arrow, carts and boats, Chinese medicine and writing. He is also credited as being the first to mint coins and establish governmental institutions. An epitome of wisdom and understanding, Huang-Di was a patron of the esoteric arts and considered a cosmic emperor. His rule was a golden age during which he envisioned a perfect kingdom where peaceful inhabitants would live a life of harmony. For someone from 5,000 BC, that’s quite progressive. It is said he had vast astronomical knowledge and even possessed advanced technology, such as a “cauldron” that he would use to enlist the help of a dragon. Sometimes, this dragon is described as having metallic scales and the Yellow Emperor could summon it whenever he pointed the cauldron at a star known as Xuanyuan. Astronomers have identified this star as Alpha Leonis, located 79 light-years from us, in the constellation Leo. According to ancient Chinese myths, the same cauldron could store various types of energy for long periods of time and would show moving images of other dragons flying through unfamiliar skies. Another intriguing object belonging to the Yellow Emperor was his magical chariot, called Changhuan. He would use it to travel quickly to all corners of his empire, bot woe unto him who dared climb aboard without Huang-Di’s permission. When one of his advisers decided to take it for a spin, he returned the same day but being many years older than he had left. This sounds too much like the time dilation effect of faster than light travel to ignore. Multiple sources claim that after his hundred-years reign ended, the Yellow Emperor simply summoned the metal ‘dragon’ and ascended to the heavens. This could be a metaphor for death or it could literally mean the extraterrestrial emperor climbed aboard his flying machine, waved goodbye to the subjects he had so graciously helped evolve, and went back to his own star system. It is worth mentioning that Alpha Leonis, also known as Regulus, was seen as an important celestial body in ancient times. The Babylonians called it Sharru (The King) while in India it was called Maghā, meaning The Mighty. Millennia ago, ancient Persian astronomers saw Regulus as one of the four ‘royal stars’ of the monarchy and referred to it as Miyan – The Center. Being the initiator of the Chinese civilization must have been hard work, so it makes sense for history to sing songs of praise to the Yellow Emperor, but was he human or not? He successfully introduced alien concepts that had never been heard of before him and allegedly owned and operated technological marvels that only an advanced, space-faring civilization could produce. 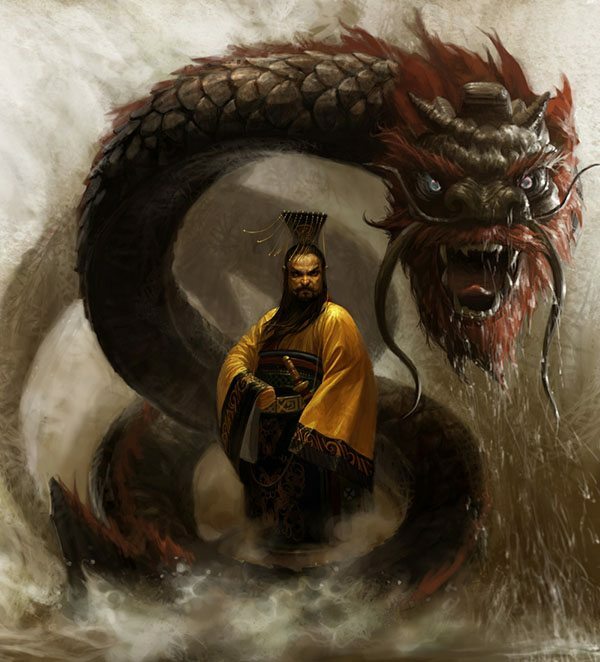 His birth is said to have been an actual descent from the Xuanyuan star, accompanied by a “thunderclap on a clear day in the skies.” The metallic dragon could have been a flying craft similar to the ones we see today, and we’re left wondering whether UFOs are responsible for the representation of the strongest, wisest mythical creature in Chinese lore. This is an artistic reproduction of a relief found in a labyrinth on the island Jotuo in China. 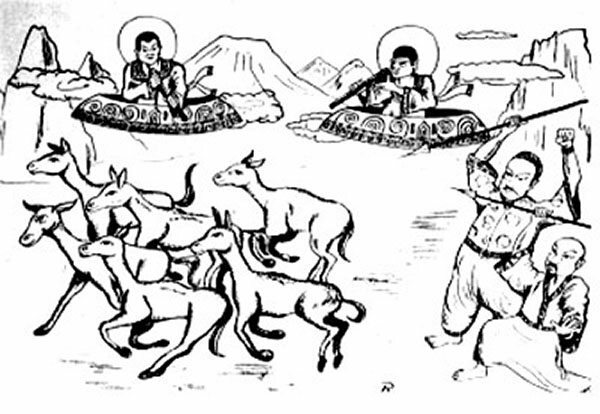 The star Huang-Di allegedly came from was held in high regards by many ancient peoples. Could it have been the place of origin of many of mankind’s civilizing heroes, from Gilgamesh to Quetzalcoatl, and from Viracocha to Osiris? Next ArticleYou'd Better Steer Clear of these 12 Vile Vortices!